Home › Christian Life › Do You Need the Moonlight Sonata? Jen’s Gem: You can change someone’s life just by being kind. 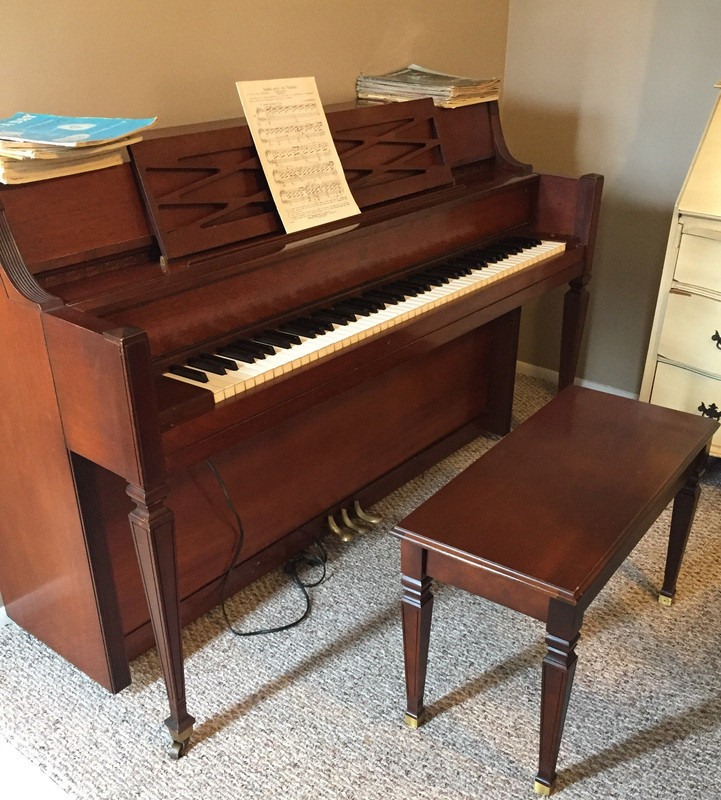 This week, my childhood piano was delivered to my home. As I saw it being taken out of the moving truck and then rolled up my driveway, the excitement for its arrival hit an all-time high. As the young men moved it into position in my dining room, it felt like it was always meant to be there. Within minutes of their departure, I went through the box of music books that held memories of past recitals and dreams of playing like Sir Elton John or Billy Joel. I organized all of it and then came upon the pièce de ré·sis·tance – Moonlight Sonata by Mr. Ludwig van Beethoven. Its cover was missing but it didn’t matter. I immediately recognized the arpeggio-like chords and decided to give it a try. Mind you – it’s been nearly forty years since I’ve regularly played piano, having given it up in high school. The first attempts to play this masterpiece were paltry at best but I wasn’t giving up. I knew intrinsically that my fingers would remember the keys. My ear would remember the melody. A few hours later, page one was accomplished – not flawlessly – but not bad either. I was beaming. I sent up a prayer of thanks afterwards as this truly had been a great day. Over the next several days, I spent time practicing this piece and even venturing into other tunes. However, those attempts were met with a bit more difficulty as complex note formations, above and below the staffs, left me scratching my head. I believe the person most disappointed about my decision to quit playing the piano was my mom. There were many days while she was preparing dinner that she would ask me to play for her. When I would ask what she’d like to hear, her response was always, “Whatever you want. I enjoy everything you play.” I can recall being so happy playing for my mom because I know that she truly enjoyed it. Isn’t it the best feeling in the world when you are doing something that brings joy to others? To be a blessing to your friends, loved ones, or even a stranger in the grocery store is a win-win for all. It doesn’t have to be anything extravagant. It can simply be a smile or a compliment. Grand gestures are not always needed. In fact, I think sometimes the small acts of kindness go further and can change someone’s day or even their life. 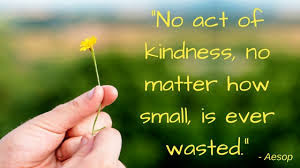 Next Sunday, February 17, is “Random Acts of Kindness Day.” While commendable to have a day set aside to be kind, I find it a bit surprising that we have to remind people to be kind. I also find it disturbing that we are so taken aback when we see heart-warming stories in the media. Shouldn’t this be the norm? Sadly, we live in a world that is far from kind. My Bible college class is currently studying Ephesians. This book, written by the apostle Paul, contains instructions on how to be a faith-filled believer in Jesus as well as clearly outlines the myriad of blessings that God freely gives to those who follow Him. It’s an amazing book that should be on everyone’s “must-read” list. One of the guidelines is in chapter 4, where Paul instructs the people of Ephesus on how to be kind. However, he doesn’t tell them to be kind for just one day, nor for it to be random, but rather to take kindness and love on as a lifestyle – to put it on, as we do our favorite outfit, every day. This week, I would like to encourage you to consider reading the book of Ephesians or if you are so led, you can watch a study of the first chapter with Joyce Meyer by clicking here. If nothing else, think about how you can bless those in your life every day this week with thoughtful, purposeful acts of kindness. It may not be the entire Moonlight Sonata, but page one will be just fine. ‹ What Are You Wishing For?